Here is a great concert you will not want to miss! Good friends of JazzErie, Lydia Marks and Bruce Johnstone, will be putting on a great performance on Saturday June 16th at the 9th & State Beer Cafe at 7:30pm. Lydia will be singing with the great Bruce Johnsotne Trio performing a variety of great jazz favorites from Nancy Wilson, Nora Jones, and many others! Be sure to show them some great support and we hope to see you all there! Here is some more information about the gig! Cameron Cancilla, proprietor of the 9th & State Beer Café will present a Night of Jazz at the 9th & State Beer Café featuring Lydia Marks & the Bruce Johnstone Trio on Saturday June 16th from 7:30-10:30P.M. Lydia Marks, a native of Erie performed as a featured singer with Carl Fontana’s Dixie Land Band at Bourbon Street in Las Vegas, and as an opening act for Jerry Seinfeld, Wayne Newton and Roseanne Barr at Bally’s Catch A Rising Star. She later headlined at the Chautauqua Institution with Bruce Johnstone and recorded her debut CD Lovelight Shining in 2005 which features Johnstone’s world class baritone sound on several of the tracks. 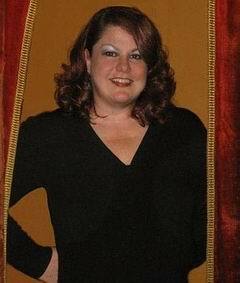 Marks completed her BA in Music Pedagogy at Mercyhurst University 13’ and taught Vocal Jazz at the Sullivan Conservatory for two years under the direction of Rebecca Ryan. Marks recently completed her Master of Education in Secondary Education and Educational Leadership at Edinboro University 17’. Marks will share the stage with Bruce Johnstone and his trio singing favorites of Nancy Wilson and Nora Jones. Bruce Johnstone, a baritone saxophonist is a New Zealander who writes his own music and has played every style from Be-bop to Avant Garde. Johnstone toured with Maynard Ferguson throughout Canada, Europe and the United States, and has shared the stage with countless great jazz artists such as Jerry Mulligan, Dizzy Gillespie, Woody Herman and Nancy Wilson. Johnstone is also a passionate educator and worked as Director of Jazz studies at SUNY Fredonia. Johnstone will play several of his compositions in addition to favorites by John Coltrane and Dexter Gordon. Johnstone will feature guitarist Vinny Stefanelli and bassist Chris Von as part of his trio. Stefanelli is known in the Erie area as the founder of Music for Veterans, a non-for-profit group that helps veterans heal thru music. Stefanelli has also played at several Jazz Erie events and accompanied Marks at various clubs in the area. Von teaches music in the Millcreek Township School District and string bass as an adjunct at Mercyhurst University. 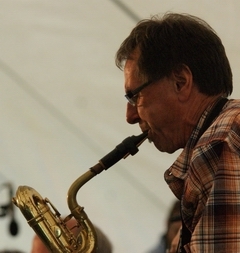 Von has played with the Misery Bay Big Band and the Presque Isle Jazz Orchestra. Cameron Cancilla downtown bar owner of the 9th & State Beer Café will give a fresh look to the façade of his 9th & State Beer Café. Cancilla wants the exterior theme to match all what the interior has to offer. The interior of the establishment boasts ample seating for events, a corner stage with lighting, and room to dance. The contemporary bar features an array of craft beers, wines, and simple eats on the menu. The rear of the establishment has a beer store that has the largest selection of beers to go in the downtown area.